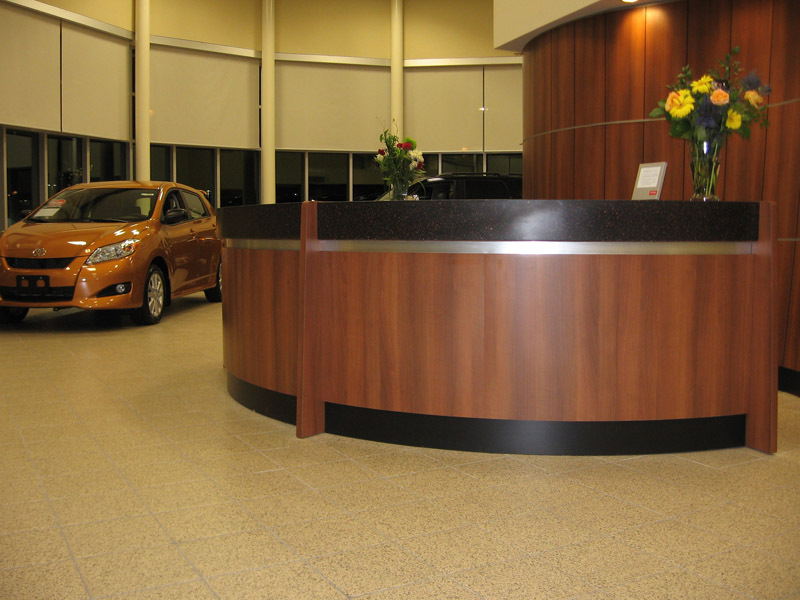 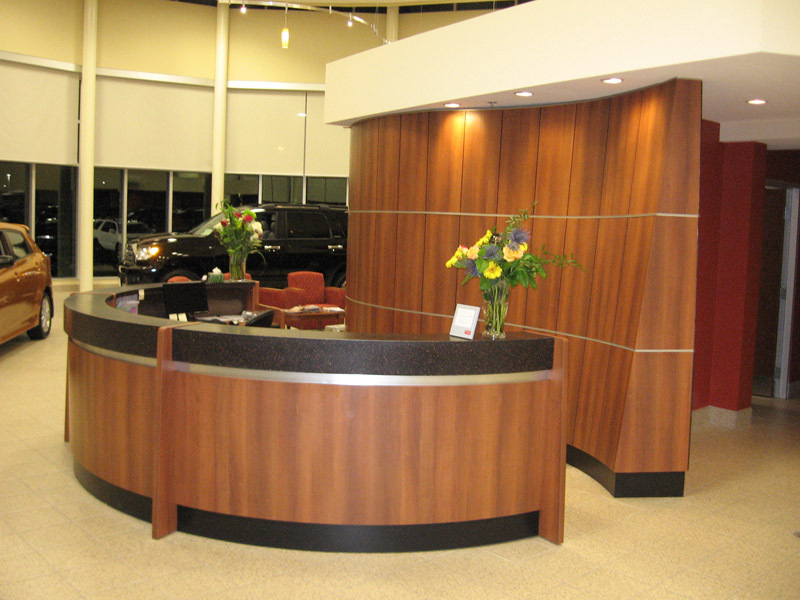 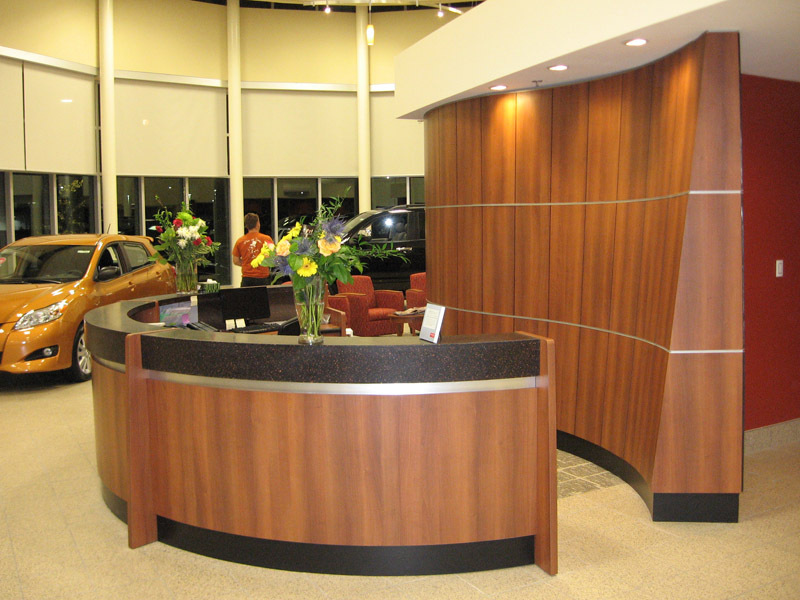 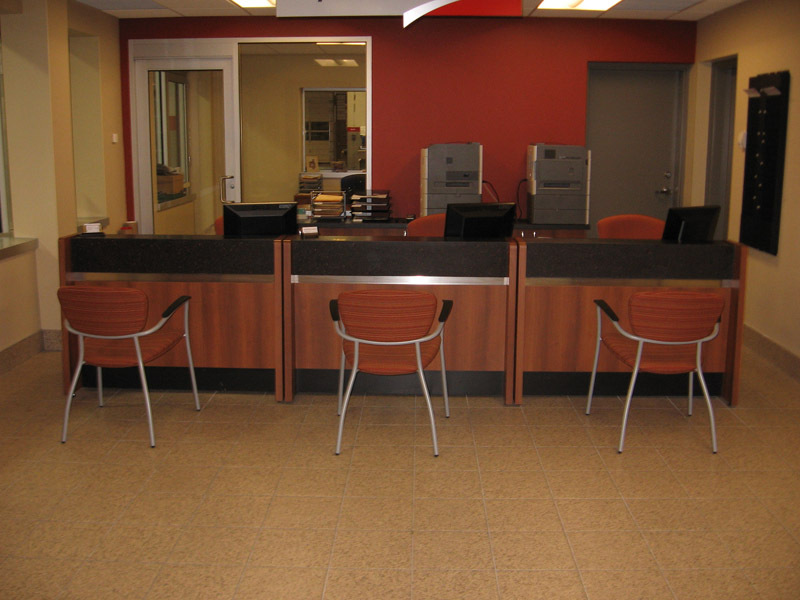 We are proud to have contributed to Stouffville Toyotas LEED Gold Certification with FSC and NAUF materials used in the manufacture and installation of Reception desk, curved laminate feature wall, Coffee Centre and Service Advisors desks. 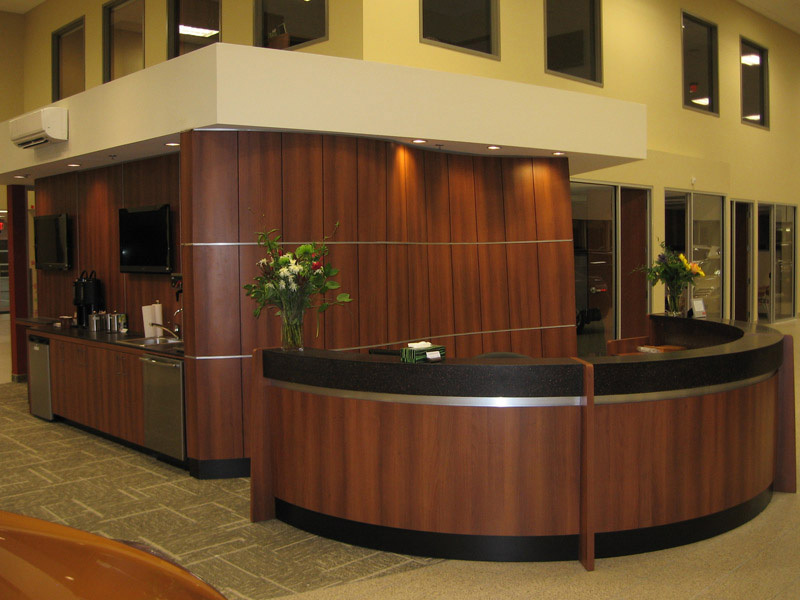 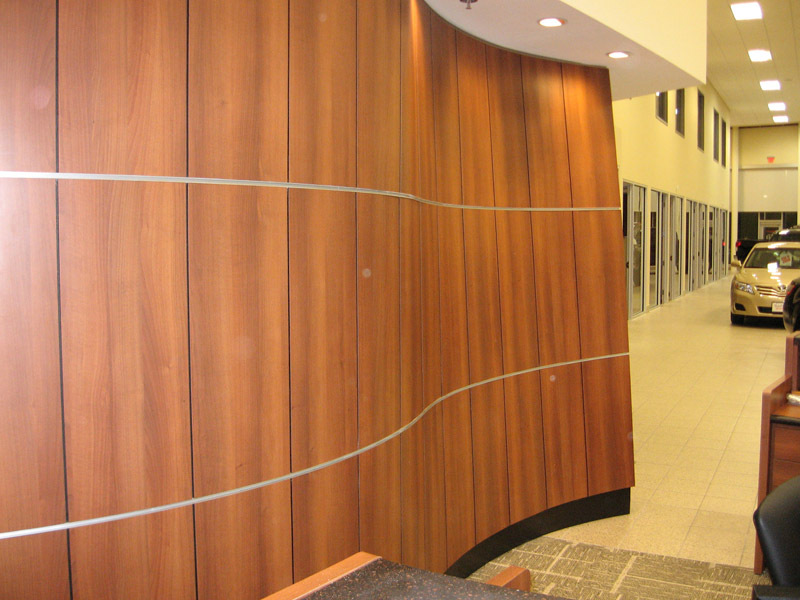 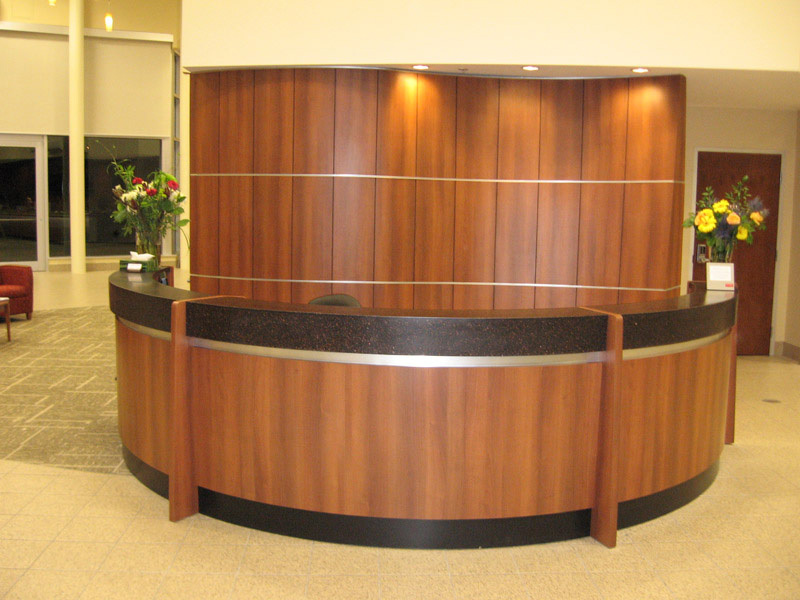 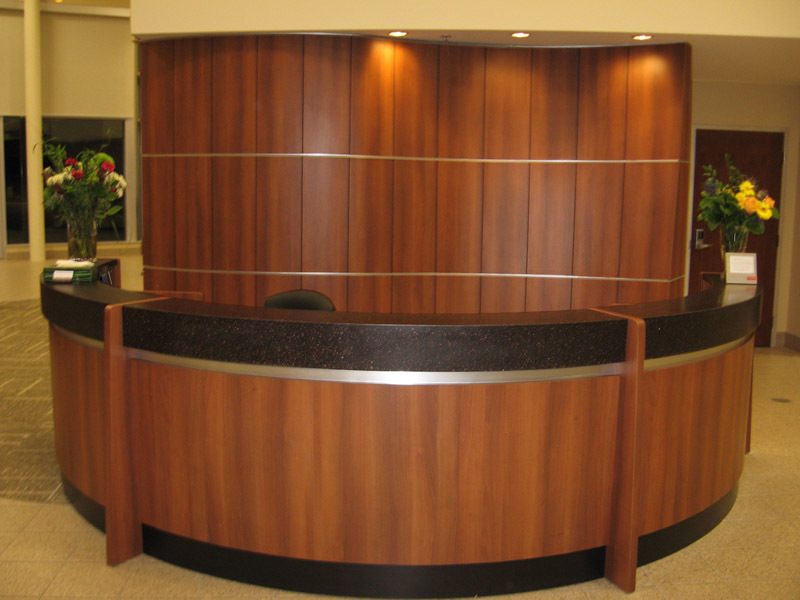 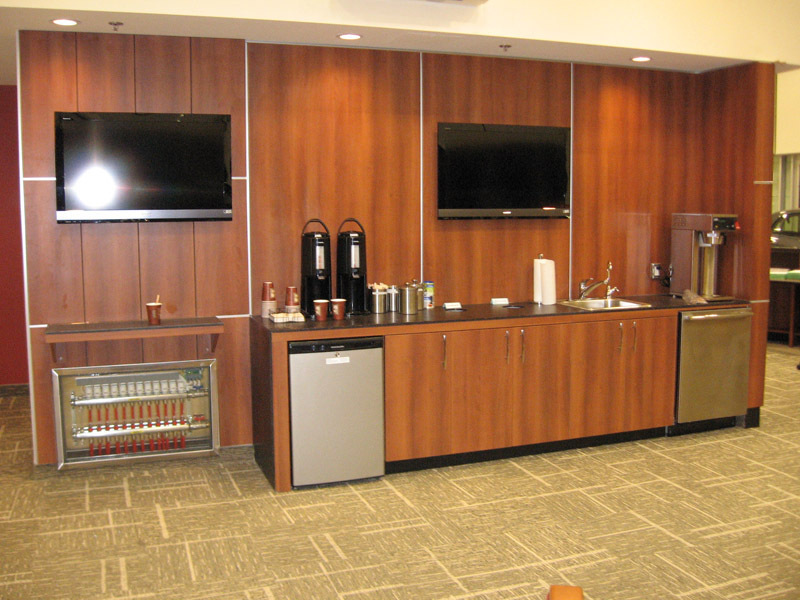 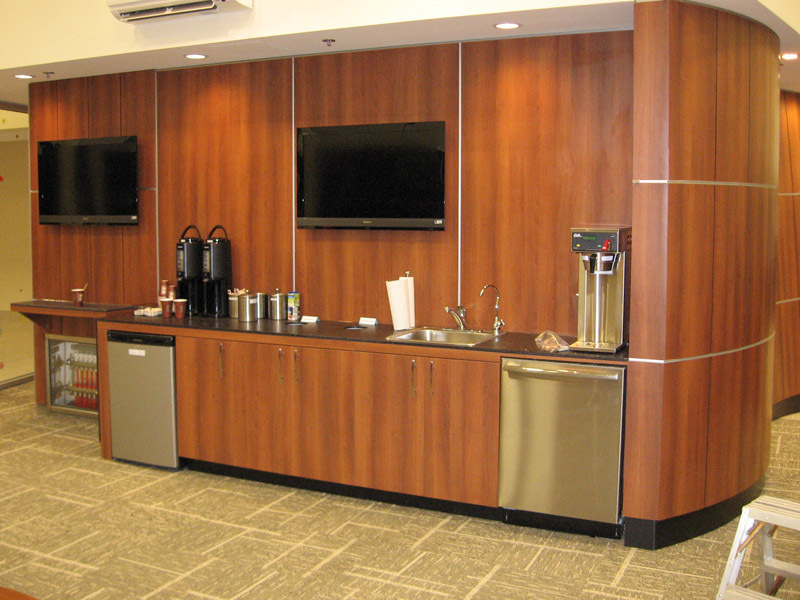 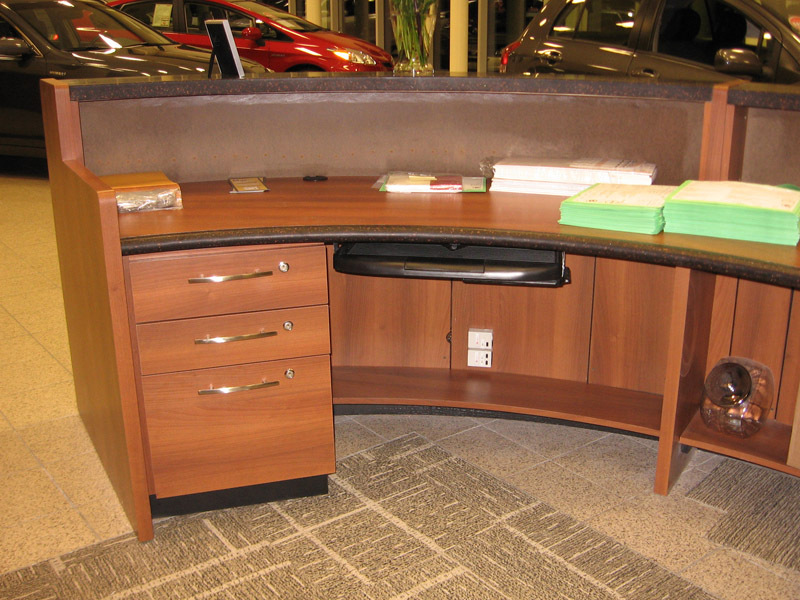 Custom laminated were purchased from systems furniture suppliers to match the millwork with the office furniture systems. 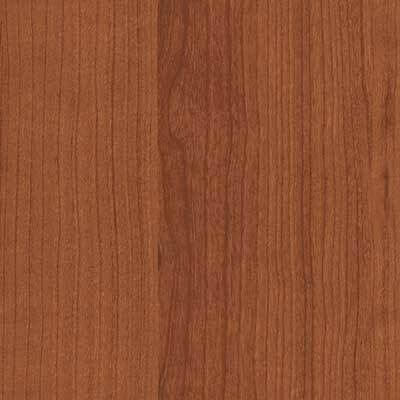 click on an image to enlarge, click next and prev to advance the image.